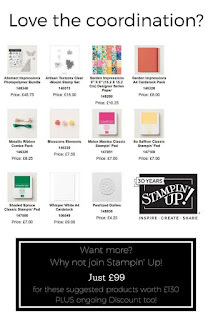 July Demonstrator joining offer from Stampin up! First I apologise for being missing the last few week I've had to have an operation on my foot. 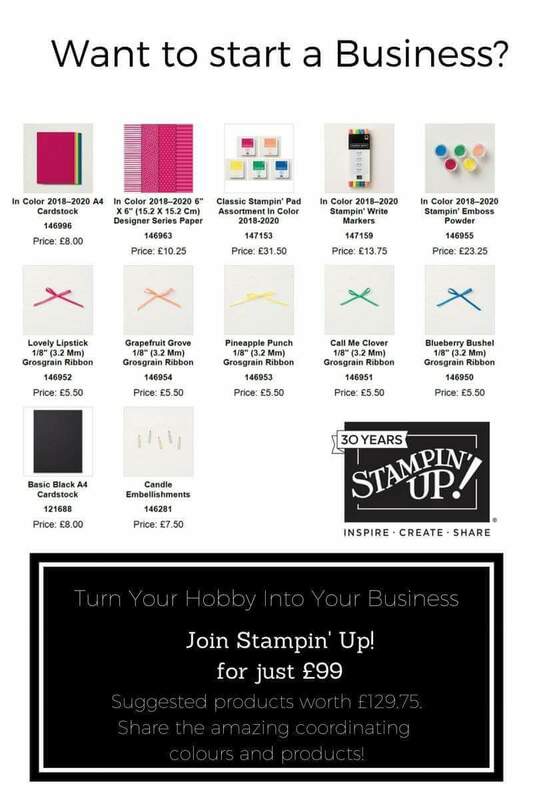 IIhave some very important information from Stampin up! 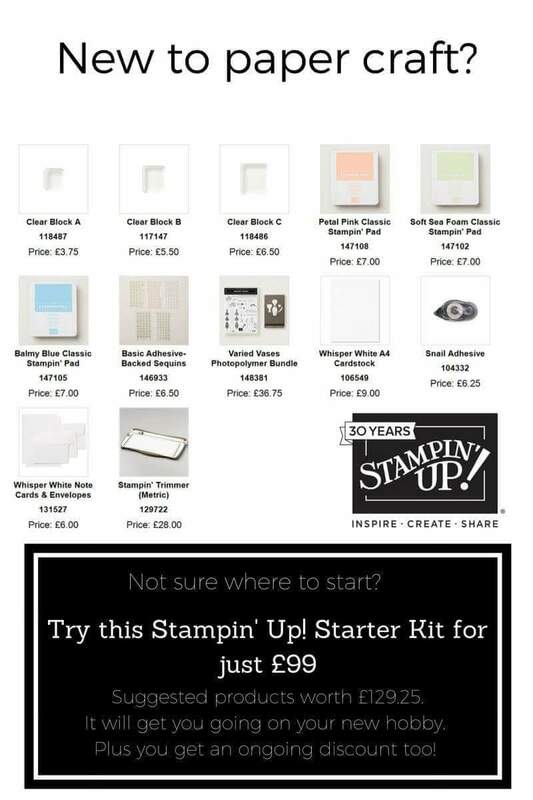 Starter kit and the july offer, so here is some info. Unlike most starter kits you get to choose your own contents. You get to choose from the full catalogue range to the value of £130 and you only pay £99. During July you will also get a colour family of ink pads of your choice. 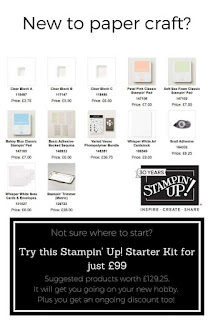 That's 10 ink pads worth £63 just for ordering the starter kit. So you get £193 worth of stuff for £ 99. I don't know about you but I think that's a bargain. Then you have the choice to be a hobby demo, just enjoy the no obligation offer or start your own business. 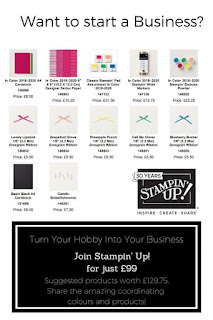 Also for the month of July Stampin up! 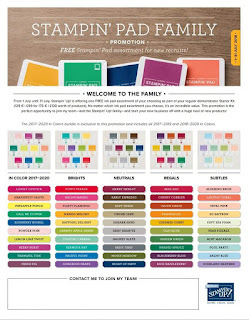 have buy 3 Designer series paper and get 4th free.